January 2019: Volkswagen was the best-selling electric car brand in Germany but the Renault Zoe was the top-selling electric car model. Volkswagen remained the leading electric car brand in Germany at the start of 2019. VW was followed by Renault, BMW and Hyundai. Sales of electric Smarts slipped but Audi and Kia showed strong gains. The Renault Zoe was again the favorite electric car model of the Germans in January 2019 followed by the VW Golf and BMW i3. The Audi E-Tron moved into to fourth place. In January 2019, new electric passenger vehicle registrations in Germany increased by 68% to 4,648 cars. Electric cars had a new record market share of 1.7% of the total German new car market of 265,702 passenger vehicles (PKW) in January 2019. As before, electric car sales in Germany were hindered by the unavailability of cars. Most models have long waiting periods with the three months required to buy for example a BMW i3 amongst the shortest in the industry. Waiting times for other cars are nearer to a year, which certainly put private buyers off. Volkswagen was the top-selling electric car brand in Germany in January 2019 with 831 new registrations or an 18% share of the German electric car market. 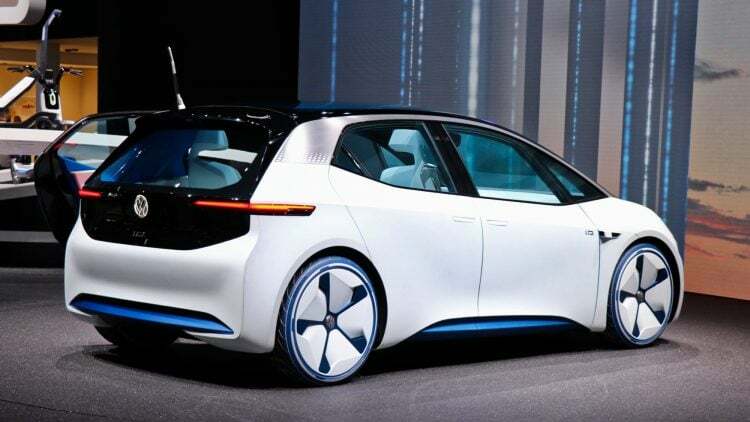 Renault was the second most-popular electric car brand in Germany in January 2019 followed by BMW and Hyundai. Smart was long the leading electric car brand in Germany, and plans are underway to convert the brand to electric propulsion only, but sales have been weaker in recent months. Smart only narrowly outsold Audi and Kia. Although the Nissan Leaf is internationally the top-selling electric car model, electric sales of Nissans in Germany remained relatively low. Tesla was the only other brand in Germany with electric car registrations in January 2019 exceeding a hundred units. However, given Audi’s performance with a solo electric SUV, Tesla may struggle once the German premium car brands finally launched all-electric cars in addition to hybrids. The Renault Zoe was again Germany’s best-selling electric car model in January 2019. It was followed by the e-Golf and the BMW i3. The Audi e-Tron moved into fourth place – almost a thousand were registered during the final months of 2018 but the KBA only started listing the model separately from January 2019. The Audi is by far the most-expensive of the top-ten electric car models and clearly cater for a different market than the cheaper models that are popular for fleet use and car-sharing schemes. The Kia Soul and Hyundai Kona sold in similar numbers but availability was an issue for both models. The Nissan Leaf failed to make much inroads into the German electric car market while the Hyundai Ioniq could probably sell in much higher numbers if cars were available. The Smart Fortwo and Smart Forfour rounded out the top ten list but both cars were far from the leading positions they commanded during the first months of 2018.